After the fall of the Sikh Kingdom in 1849, the Sikhs were in very serious trouble. The Gurdwaras were in control of Mahants who had installed Hindu Idols and barred "low castes" from entering. British observers wrote that Amrit Sinchaars almost never took place. Sikh women lost their distinct appearance and no longer followed rehit or took amrit. The British even began to photograph Sikhs as they believed this "fading sect" ought to be recorded in history and one day shown in museums as a part of India's history. Big Sikh landlords Mangal Singh Virk and Charat Singh of Barhar became Muslims for Muslim women as well. In 1873, 4 Sikh boys Aya Singh, Attar Singh, Sadhu Singh and Santokh Singh announced they were converting ot Christianity and prepared to cut their hair. Later they were convinced not to do this. Harmandir Sahib was under the control of the British Government and they had appointed a Sikh manager, Mangal Singh to look after the site for them. The British had nefarious designs for the Sikhs. They intended to make Sree Darbaar Sahib the main Diocese for the Christian Church and convert the complex into a giant church. Crucifixes were even put near the entrance of Sree Darbaar Sahib near the foot-wash area. The Sikhs came out very dejected and sat in a Gurdwara trying to understand what to do. They decided to hold and Akhand Path Sahib in Darbaar Sahib and do Ardaas that the most precious place of the Sikhs would be saved. 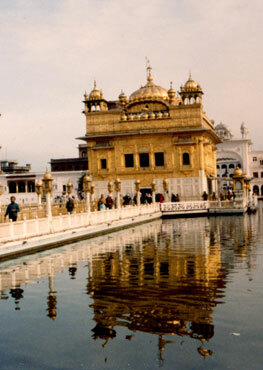 The next day, the sangat gathered at Harmandir Sahib and Asa Di Vaar began. An intelligence officer sent by the Viceroy was also present to watch over the gathering. At 4.30AM, the ball of light entered and stopped in front of Guru Granth Sahib ji and then did as was described above. The Sangat began to repeat "Dhan Guru Ram Das!". News of this event went all over Punjab. The hundreds of witnesses all gave their names as proof of this great miracle. The intelligence officer too was stunned and advised the British Government that any attempt to take over Darbaar Sahib would be wrong. This incident was Guru Ram Das himself blessing the Sikhs. 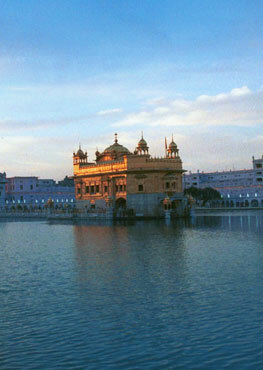 It showed the Sikhs that Guru was not far, but always watching over his Panth. At a time where amritdhari Singhs were almost extinct and Hindu ritual had taken hold in the Gurdwaras and Sikhs were converting away en masse, Guru Ram Das enacted this miracle and revived and awakened the Sikhs. The Gurdvara Reform Movement gathered steam, Singh Sabha Movement threw out the Hindu influences and again the Panth began to emerge and grow. The entire Panth rose up to save Sikhi. The Sikhs were saved from the brink of extinction. In today's age, when again Sikhi is threatened by governments, and Sikh youth are confused and misguided, it is time for a Sikh Revival. It is up to us to save our Panth. And if we take the initiative, we should rest assured Guru Ji is watching us and will certainly give us victory.